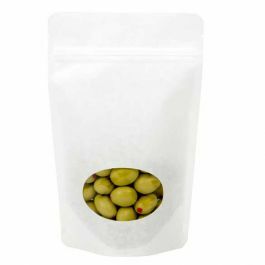 Our ZBGO1B Black Oval Window Zipper Pouch Bags hold 1oz/28g and are the perfect packaging choice for single serve portions. 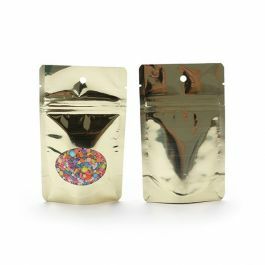 These stand-up pouches measures 3 1/8" x 2" x 5 1/8" and have a usable space of 2 11/16" x 1 3/4" x 3 3/4". 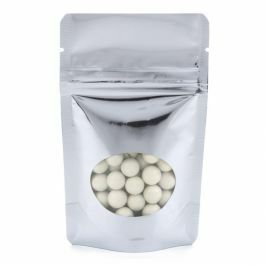 Fill with coffee, teas, bath salts, and spices. Now available with round hang holes. Some bags without hang holes may still be left to ship. Please let us know if you prefer them with hang holes in your order comments. 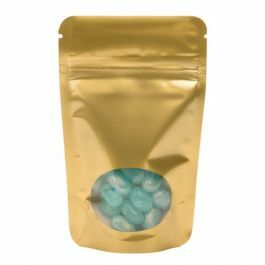 These flexible pouches already look great on retail shelves, but a sneak peek of product is an added bonus. ZBGO1B is our Oval WIndow Zipper Pouch Bag in black and measures 3 1/8" x 2" x 5 1/8". 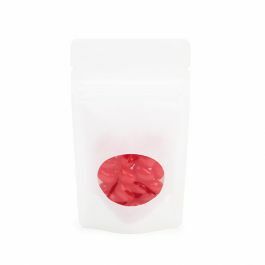 It holds 1oz/28g of product with a usable space of 2 11/16" x 1 3/4" x 3 3/4". 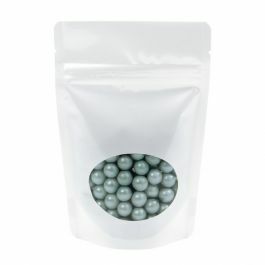 These pouches work well for single serve packaging of chocolate, coffee, teas, spices, mixes, and bath salts. 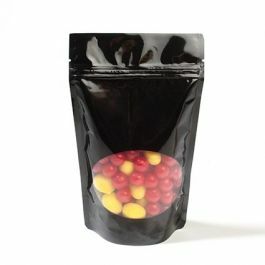 Colorful candies look striking in this black smooth finish made from 4.8 thick laminated, durable material. 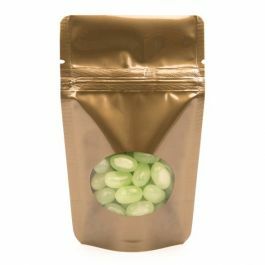 These pouches may be small, but they have an excellent moisture and odor barrier to keep your products fresh. 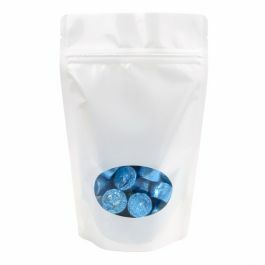 User-friendly features include an airtight zipper closure and tear notches that provide easy access when heat sealed.